Twenty-nine years ago, I started working with accounting and taxation to help my family prepare and file their returns properly. The main reason for this was that I used to keep getting audited in the past as there were errors on my returns. Once I figured this out, I wanted to make sure others didn’t face the same trouble. I have been working in this business for about twenty-five years now, and business is booming. Over the past couple of years, I noticed that things are no longer the way they were when I started out. When I began, everything was done manually, in comparison today, where it’s all computerized, with most calculations done automatically. The most enjoyable and rewarding part of owning a business is meeting people of different backgrounds and interests on a regular basis. My business philosophy is to prepare each tax return accurately, therefore minimizing the chances of being audited or paying fines. As an individual, I believe what sets me apart from the others is my honesty. I attribute my success to the efficiency with which I provide service. Over the course of my years in the tax business, I've noticed some clients find the tax system quite uncomfortable and stressful. After we steer them clear of this, resolve lingering issues with the IRS, or state taxing agency, just seeing the smile on their faces gives me immense satisfaction. When I am not at work, I enjoy watching tennis and playing an occasional game of golf. If you or someone you know could benefit from our expertise in tax services and electronic filing in Brentwood, NY, I invite you to get in touch. 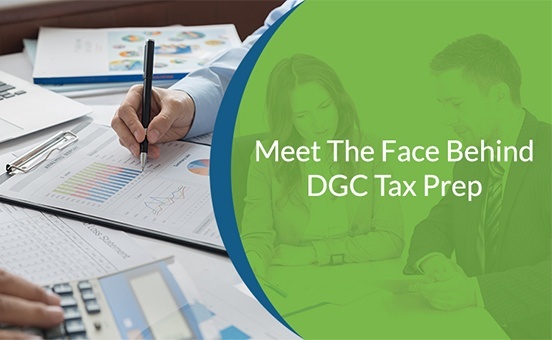 Please visit our website at www.dgctaxprep.com.